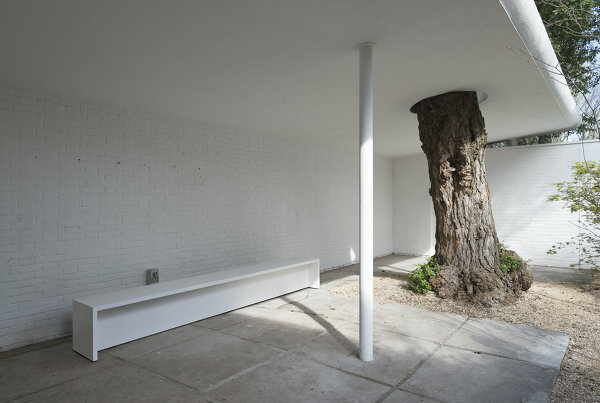 With its equally classic and modern design idiom, the Austrian pavilion is an ideal exhibition space and one of the major pavilions in the Giardini. At the first International Art Exhibition held in Venice in 1895, the Central Pavilion was the common exhibition hall shared by all fourteen participating countries. In 1907, the opening of the Belgian Pavilion ushered in the construction of individual national pavilions in the Giardini della Biennale. 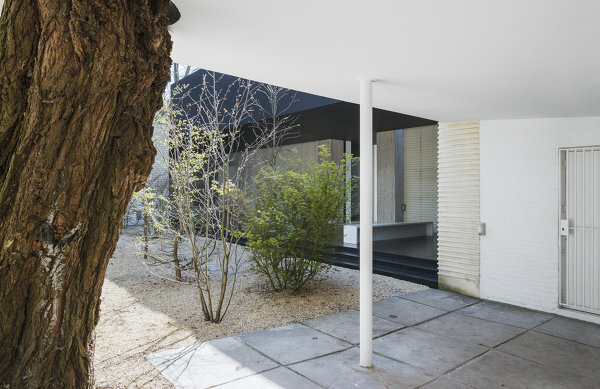 Austria already expressed the intention to build its own pavilion for the first time in 1910, but this plan was only implemented in 1934 and finally, the Austrian Pavilion designed by the architects Josef Hoffmann and Robert Kramreiter was officially inaugurated on 2 May 1934. After Austria’s Anschluss with Germany in 1938, the Austrian Pavilion was offered for sale and temporarily used as storage space for Italian film productions of Cinecittà while Austrian artists exhibited their works in the German Pavilion. It was only in 1948 when the Biennale resumed after World War II that Austria returned to its own national pavilion. Its Sculpture Courtyard was enlarged in 1954, and a small office/storage room was added in 1956. In 1984, exactly 50 years after its construction, the Pavilion was completely renovated under Hans Hollein who gently restored the building to its original state; for example, the glass doors (main portals) introduced in the 1950s were again replaced by roll-up doors in line with the ideas of Josef Hoffmann.